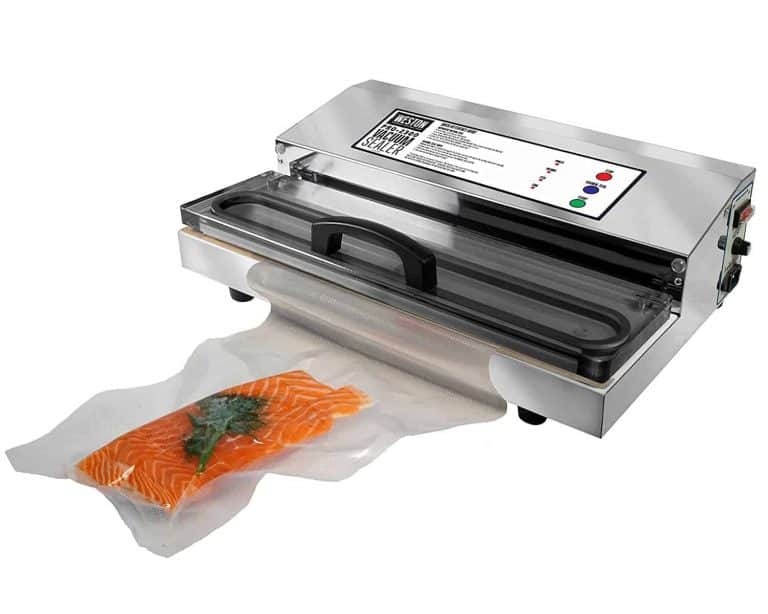 Our Weston Vacuum Sealer Reviews can help you find the model that's best suited to your needs. 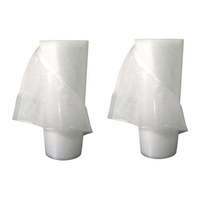 Our reviews look at quality, features, ease of use, size and price. You can get a quick glance at the results or compare Weston Vacuum Sealers using the Comparison Table below each product links to a detailed review. If you're looking to replace lost or missing instruction manuals you can find them on our Weston Instruction Manuals page. Our reviews show the Best Weston Vacuum Sealer is the Weston Pro Advantage it has most of the features that most people are going to want, and it's still priced within most people's budget. This model is a Professional Grade Vacuum Sealer that can work in a commercial kitchen or home kitchen. It's manual sealing machine, with an easy to operate one button push vacuum seal. All of the Weston Vacuum Sealers we reviewed were a much higher quality than everything else we looked at, this quality doesn't come cheap. 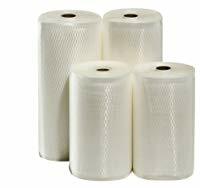 People who have tried other vacuum sealers and found that they didn't last should consider investing in model from Weston. The Weston Vacuum Sealer received the highest rating from Cooks Illustrated. 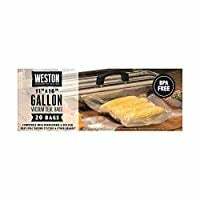 18" x 10" x 6" 10" x 16" x 18" 15" x 23" x 9"
All Weston Vacuum Sealers are Professional Grade Small Appliances and are durable enough to be used in a commercial kitchen. They all feature a stainless steel outer metal housing and have a high quality double piston pump to vacuum out air. Weston products come with a 2 year warranty. 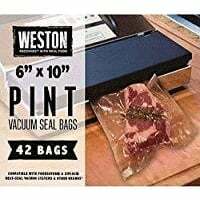 If you're sealing meat from a hunting trip, repackaging items you bought in bulk, or are looking to try your hand at cooking sous vide Weston Vacuum Sealers are a great way to get started. Can you adjust how tightly you want food vacuum sealed. What size bags can be used. Only the Weston Pro 1100 comes with a starter kit with one bag roll, you will need to purchase bags or bag rolls separately for the other models. They are made in China (there's no major US manufacturer we're aware of) however this feels like a heavy duty small appliance from Germany, the quality is really that good. For normal operation the machine vacuums until it's able to get as much air out and then seals the bag, this pressure may to much for delicate food items. For delicate food items use the pulse button this allows you to slowly increase the vacuum pressure to your desired level and then stop before you crush the food. 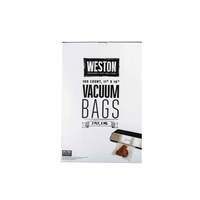 All of the Weston Vacuum Sealer can handle 8" &lpar;20cm&rpar; and 11" &lpar;30cm&rpar; bags or rolls. 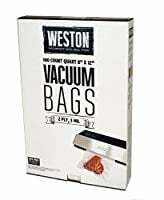 The <a href&equals;&apos;https&colon;&sol;&sol;culinaryreviewer.com&sol;weston-pro2300-reviews&sol;&apos;>Weston Pro-2300<&sol;a> can handle up to 15" &lpar;38cm&rpar; bags or rolls. Yes they can, however you're going to need purchase an Accessory Hose it doesn't come with any of their models. 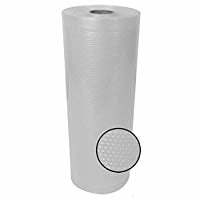 They do have a drip tray but it's not removable, blot up any liquid with a paper towel, and then spray a disinfectant or other cleaner onto a paper towel and wipe the drip tray to prevent cross-contamination or bacterial growth. If you're looking for a professional grade Vacuum Sealer without having to spend a fortune look at the Weston Pro Advantage, it's solid metal body and high quality construction are unmatched in consumer models. 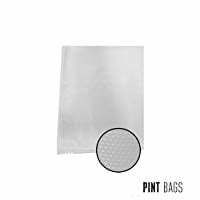 FoodVacBag is a generic brand of vacuum sealer bags that are high quality and will work in most brands of vacuum sealers.